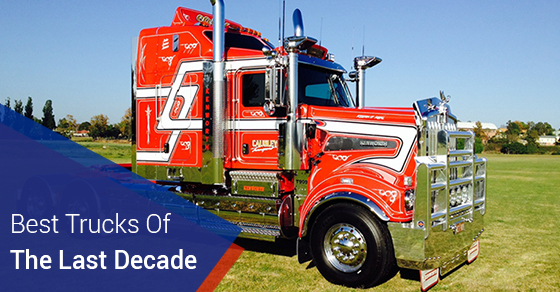 Perusing a few of the trucking industry’s online forums, it is clear that truck drivers have definite ideas about which transport trucks they prefer, based on their individual experiences. While reasons for preferences differ, overall, the brands most frequently cited by respondents when questioned on which trucks they consider the best, were Kenworth (also known as KW), Volvo, Mercedes-Benz, Scania, and the legendary Mack. Good for road train haulers and single trailer operators. Its long wheelbase gives it a smooth ride. With ISXe5 on board, the T909 handles big weights well. Although it has its faults, it’s got great looks and drivability. A driver’s nirvana — the smooth riding cab-over allows the driver to feel in control no matter what the road throws their way. This middleweight prime mover is easy enough to maneuver around town but also performs well on the highway. It has great visibility and well-designed cab entry. With above-average range of applications — from waste and recycling to agitators and concrete pumps — and the ability for custom design, the T359 fits in with Kenworth’s rep for durability. Ideal for metropolitan work with its quiet cab environment, easy shift movements and light handling. With its 15.9-litre V8 turbo diesel engine, 653hp and 2212ft-lb (3,000Nm) of torque at 1,080rpm, this heavy hauler commands first place. The big 15.9-litre V8 engine and the 600hp 2660 LS donk gives the Actros 2660 LS a lot of character. Testing showed that the driveline, the engine and transmission communicated and performed beautifully. What stands out even more, however, especially for long-haulers, is the introduction of hypoid drive axles to replace the traditional hub reduction drive, which means saving on fuel up to 14 per cent. Comfortable ride, good all-round vision and fuel consumption, and a range of innovative safety options make the Actros 2644 LS an excellent performer. With a Euro 6 16-litre 630hp in-line 6 cylinder HDEP engine, this prime mover has a harder edge and urgency that previous bigger Benzes never had. A medium-duty urban truck, it does not feature a dual-control option, but the garbage variant has enough room to stand up and walk, good rear cupboard space, ease of entry, as well as windscreen and reversing cameras and a steel bumper to protect the lights. The R620 is a great truck. It runs a 16-litre V8 with SCR configuration but churns out 620hp (456kW) and a 3,000Nm rating of torque (thus the name R620). The R730 boasts a huge 3,500Nm torque rating. The G440 may not be ideal for long hauls, but it handles well in town and out in the country. It also features many tech driver aids to make the driver’s life efficient and less strenuous. Reviewers praise R560’s comfort (a blend of leather and wood strip) and the effortless performance from its 16-litre V8. With great cab comfort, low noise levels, and very effective retarder, this six-cylinder truck makes it to the top five. A big truck! At 2,300ft-lb (3,118Nm), it has enough torque for four or more trailers. This massive torque makes it impossible to buy this model with a manual gearbox; the standard issue is the 12-speed mDrive AMT. Made for heavy haulage — it has fuel capacity up to 1,950 litres of diesel and 150 litres of AdBlue, 685 horses and 2,300 lb-ft of torque on tap, a GCM of 140 tonnes and a big 16.1-litre MP10 engine. Still, despite plenty of distance for the driver from engine and road noise, the Mack Titan has a great sense of “feel” on the road. With its big 16-litre MP10 engine, it’s a great road train hauler, but with ample vision and manoeuvrability, the Super-Liner also performs in tight spots. Its long wheelbase, cab air supports and excellent Isri seat provide the driver with much needed comfort. This Mack is a well-performing, bonneted alternative for a single trailer and B-double operations. It has a 13-litre MP8, and handles rough roads well. Its cab offers many improvements to afford more comfort to the driver (less drafty and noisy than before). The 2010 Mack was made for the construction industry. It is roomy, quiet and gives a seamless acceleration while hauling a heavy load. Despite its forward tilt on the speedo and tacho, and toggle switches instead of a column-mounted stalk for ease of use, this truck remains a great performer.